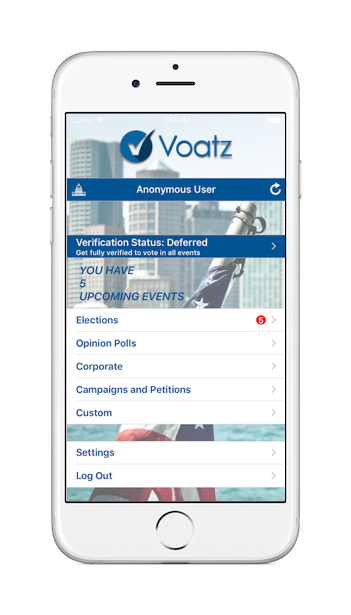 Voatz, a mobile focused election voting and citizen engagement platform, has raised roughly $2.2 million in seed round funding. The investment was led by Medici Ventures (a wholly owned subsidiary of Overstock.com), with participation from the Urban Innovation Fund and Oakhouse Partners. Walt Winshall, Michael Dornbrook, Joe Caruso and members of the Walnut Ventures angels group also participated in the round. Voatz is a startup based in Boston, MA. Its mobile voting platform has been used by more than 70,000 voters in various elections and voting events in multiple jurisdictions including several pilot projects involving Town Meeting Voting & Participatory Budget Voting, according to the company.